Cork trees store carbon in order to regenerate their bark, and a harvested cork tree absorbs up to five times more than one that isn't. Comprised of millions of air-filled cells, corks absorbs sound, impact, stays warm and always remains resilient. We achieve clear and crisp colors for our cork flooring with only the best quality pigments to preserve its naturally beautiful texture. DuroDesign cork floors are finished with our MP765 polyurethane finishing system formulated for the utmost in durability, abrasion resistance, clarity and resilience to provide decades of service to your cork floor. 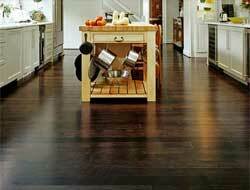 DuroDesign cork floors are covered by our 25-year structural and 5-year renewable finish warranty.